Walter G Robinson was born in Aururn, NY the son of Walter G Robinson and Mary Kelser Robinson. 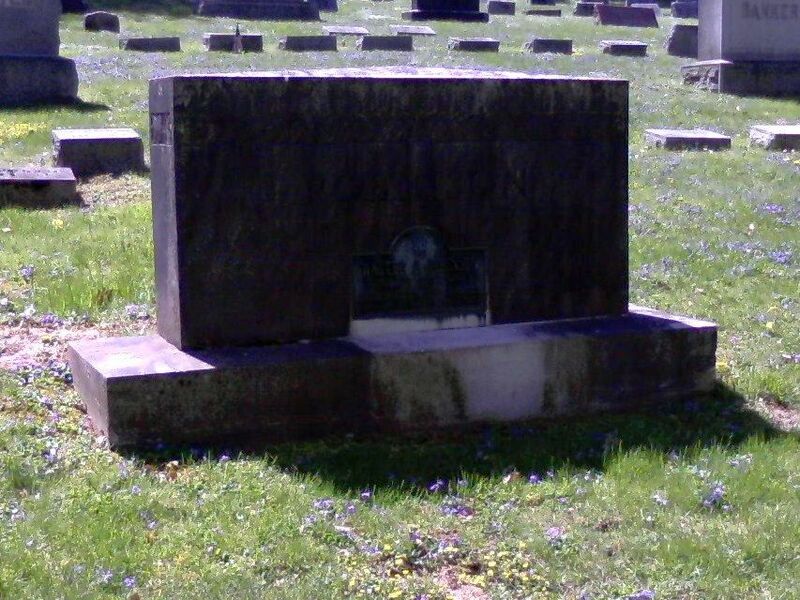 His father owned a monument and stone sculpturing business in Auburn, and was the sculpter of the Seward monument in Seward Park and of the statue of Christ in the Woodruff Monument and the Myles Keogh monument both in Fort Hill Cemetery. Young Walter attended Auburn High School and the Fairfield Military Academy. After his father passed away in 1906, Walter worked with his brother continuing the father's business, but He soon moved on by his own and worked on constructing the locks of the barge canal. Walter ended up in Scanectady, NY after 1911 and work for a time as a assistant superintendant of public works resigning from that position 4 years later. Shortly after he settled in Scanedtady, Walter joined the local National Guard unit. He was appointed lieutenant in Company E. The next promotion to Captain came in 1911, to major in 1915. His unit was detailed to the Mexican border in 1916 where he caught typhoid fever. With the outbreak of WW I he went overseas with his unit. While overseas he was elevated to lieutenant-colonel in the Argonne engagement. He remained with the Army of Occupation in Germany until 1919. His military career progressed when in 1923 he was promoted the the State Adjuutant General's Office. 1926 he had worked up to assistant adjutant general, then upon the retirement of his superior, general Lehman. He earned one more promotion before his unexpected death in 1940. He was promoted by the Governor to Major-General, and two weeks before his death. General Robinson had a close relationship with many people in Auburn and he made arraingements to be buried in Fort Hill, Auburn, a place he and his wife considered their hometown. Walter G Robinson is buried in the North Side Section of Fort Hill.